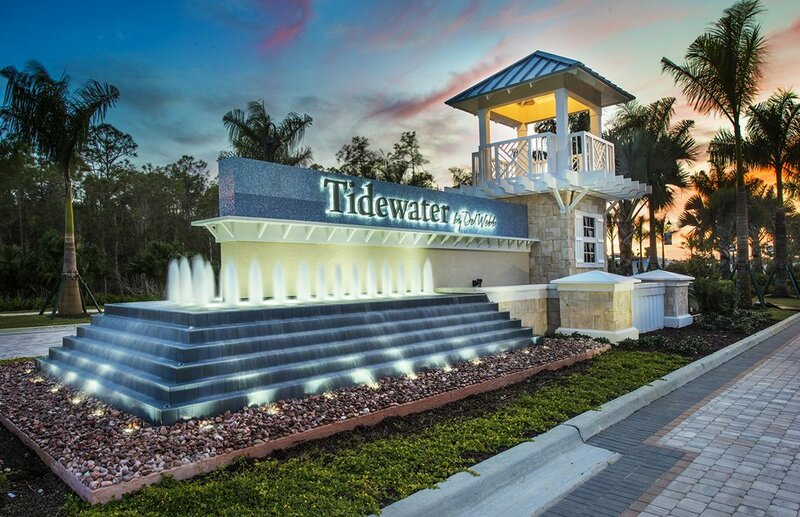 The active adult lifestyle you envisioned is waiting at Tidewater by Del Webb, located in Estero. Our Lifestyle Director plans classes, clubs, and monthly events to fit a variety of interests. Take your four-legged friend to the dog park or relax poolside with a drink from the outdoor bar. Enjoy easy access to shopping and dining at Miromar Outlets and Coconut Point. 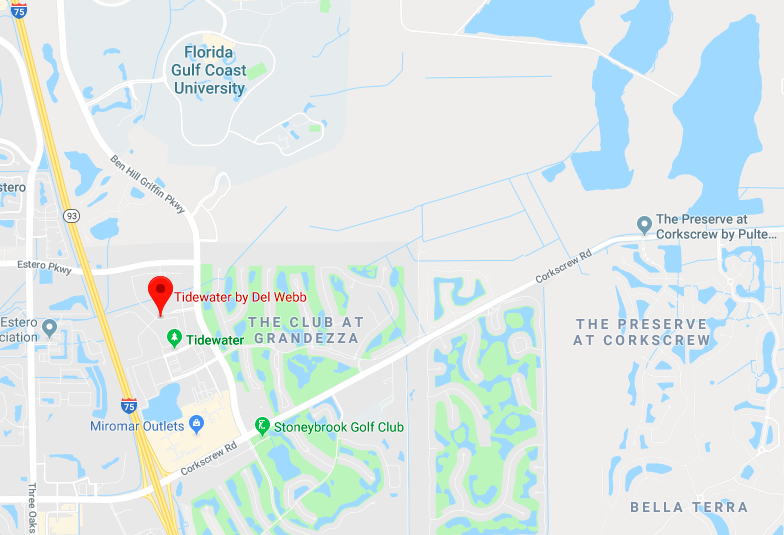 From the moment you arrive at the grand entry, Tidewater by Del Webb, a vibrant active adult community, welcomes you with a coastal-inspired streetscape of single-story homes designed for everyday living. 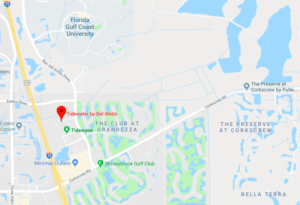 This premier location provides a variety of resort-style amenities right in your own backyard, including a two-story clubhouse, outdoor barefoot bar, resort pool, sports courts, dog park, and community garden. 2 Rooms, Flex Room, 2 Baths, 2 Car Garage 1,659 sq. ft.
2 Bedrooms, Flex Room, 2 Baths, 2 Plus Garage 1,861 sq. ft.
2 – 4 Bedrooms, Flex Room, 2 Baths, 2 Plus Garage 3,697 sq. ft.
2 Bedrooms, Flex Room, 2 Baths, 2 Plus Garage 1,968 sq. ft.